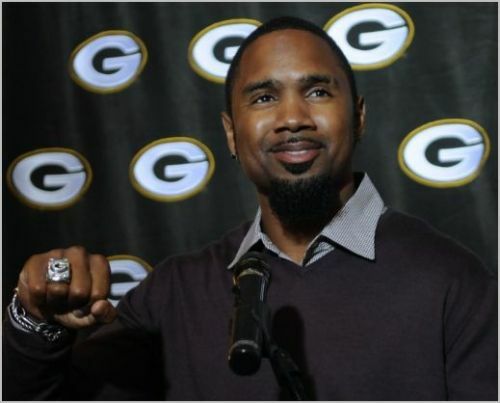 Recently retired defensive back, Charles Woodson, has been hired as a new NFL analyst for ESPN on Sunday NFL Countdown and Monday Night Countdown. The 18-year veteran retired after a final season with the Oakland Raiders. The 39-year-old three-time All-Pro is expected to begin his new job in July. “Charles is one of the most accomplished players of his era, and he is held in such high regard by players, coaches and fans for the way he played the game and led his teams,” said ESPN senior coordinating producer Seth Markman. The Ohio native played college football at the University of Michigan and led the Wolverines to a national championship in 1997. He is the only primarily defensive player to have won the Heisman Trophy. Woodson was selected by the Oakland Raiders with the fourth pick in the first round of the 1998 NFL Draft. In his first season with Oakland, Woodson was selected as the NFL Defensive Rookie of the Year by the Associated Press. He was named to the Pro Bowl and earned All-Pro recognition three times (1999-2001). Woodson later battled several nagging injuries in consecutive seasons in Oakland leading to his departure and becoming a free agent after the 2005 NFL season. In April of 2006 he signed a seven-year, $52 million contract with the Green Bay Packers. In his first season in Green Bay Woodson was able to avoid injury and showcased the talent that made him the #4 overall pick from the 1998 NFL draft. Not only did Woodson have the opportunity to return punts with the Packers, but he also led the National Football Conference with eight interceptions, surpassing his previous career high of five interceptions set as a rookie. In his second season in Green Bay, the injury problems returned and Woodson was forced to sit out two games. In three seasons with Green Bay, Woodson has recorded 16 interceptions, four of which he returned for touchdowns. In 8 seasons with Oakland, Woodson recorded only 17 interceptions. Woodson started and ended his career with the Raiders. In between, he played for the Green Bay Packers, helping them win Super Bowl XLV. A cornerback and safety, Woodson is tied for fifth in the NFL with 65 interceptions. If your company is interested in finding out availability and booking fees for a former professional football player and analyst like Charles Woodson or other sports celebrities for a Keynote Speech, Fundraiser Event, Guest Appearance, or Football Camp, call us at 1-888-246-7141.